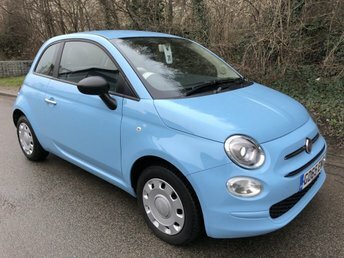 Rykel Automotive Group, based in Grays, is a trusted used car dealership that offers affordable finance on used Fiat cars. If you are interested in buying your next car on finance and want the best deal based on your monthly budget, then contact us now! With a range that includes the trendy and nimble 500 compact and the unique and practical Panda, Fiat has plenty to offer. Rykel Automotive Group will be glad to assist you when you come to our showroom in search of the perfect used Fiat car. We are based on London Road in Grays, waiting to offer you excellent customer service and outstanding used cars.